Primary, secondary, tertiary, complimentary, analagous, brightness, hue, value, saturation, tints, shades… do these words mean anything to you? They should. A post by cartoonist Matt Glover points out ColorFAQ – very basic web guide to color theory. It got me poking around on the internet for some other sites with some more depth on the subject. Sometimes I forget how much I use color theory every single day, it’s just something that sometimes goes on autopilot and is an easy topic to forget to recommend to others. A key insight from color theory, especially when working with actual paint, is to never use black for your shadows, but rather the complimentary color of the surface the shadow is cast upon to create the darker shadow color. Working in CMYK, this is a bit more difficult as the colors by nature are designed to be partially transparent when printed and rely on the black (K) to darken colors. The Adobe color sliders are dynamic so you can see how adding or subtracting percentages of a certain color will darken or lighten the swatch. For example, in darkening yellow you want to add it’s complimentary color – violet, and in CMYK mode you’d need to add percentages of Magenta and Cyan to darken up that yellow. The colors are much more vibrant and harmonious when you mix them this way, as opposed to just adding black. Things are a bit different in RGB mode, which is based off of the mixing of light (or “additive” color mixtures, as opposed to the mixing of pigments, inks or dyes (or “subtractive” color mixtures). The following links should give you more than enough information on the subject, and they are all very worthwhile reads. Understanding color theory will improve your artwork and working methods dramatically. Back in my introductory college painting class, the instructor had the class use acrylic paints to create painting projects specifically designed to reveal the usage of complimentary colors for shading, and it really blew my mind seeing it happen with my own hands. Color Theory at LiquiSoft – Is a well thought out and concise overview of color theory. Start here first. Color Theory at Worqks gets into the real details with nice bold graphics demonstrating the principles. And to get even deeper yet into the topic of color and color theory, handprint.com has some interesting informational and philosophic essays on color in the watercolor painting section. Adobe’s Kuler, which I blogged about previously, is a color scheme generator with dynamic and interactive color wheels to play around with, and even save and share color schemes with others. No actual knowledge of color theory necessary, but you’ll slowly start to see how it all works as you move the controls around (which you can’t help but doing). 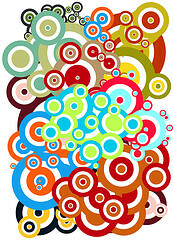 And on the fun side, Kolor Wheel for iPod is a color scheme generator software application for you iPod that lets you match colors out in the real world, save ’em to your iPod and bring them home to match up in a design on your computer.